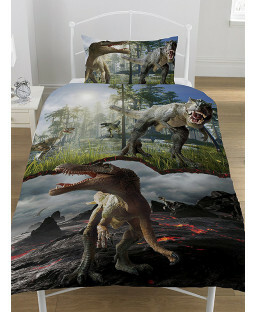 Discover our massive range of dinosaur theme bedroom furniture, duvet covers and accessories and more to transform your little one’s bedroom into a Jurassic inspired space. 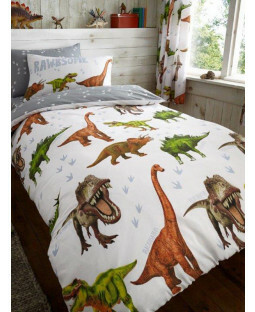 Whether you’re designing their first nursery, or updating their bedroom as they grow, you’ll find plenty of rawrsome décor at Price Right Home. 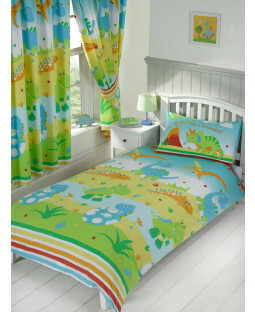 Get furniture for your child’s bedroom or nursery featuring their favourite animals. 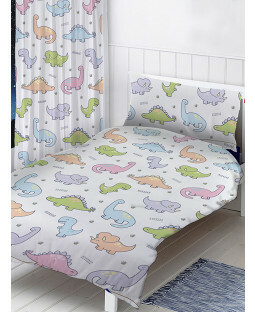 Choose a dinosaur toddler bed and give your little one a safe and comfortable place to sleep between 18-months and 4-years old. 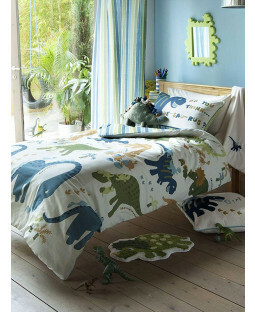 Complete their room with some handy storage units and soft furnishings including rugs and blankets with cute cartoon dinosaurs. 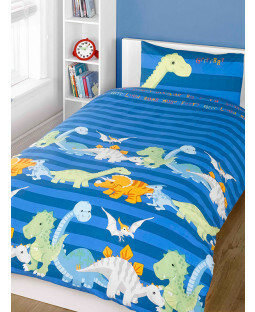 A duvet cover and pillow set are an easy way to give your kid’s bedroom an instant makeover. 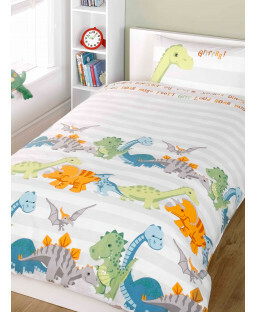 We have a range of duvet cover sizes to fit your child’s junior bed or single bed, plus covers for double beds as they grow bigger. 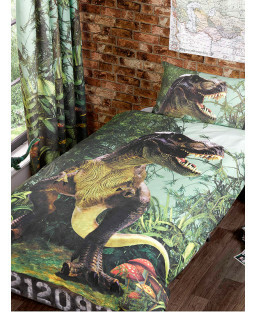 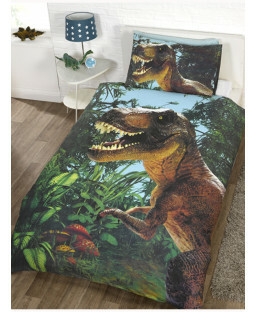 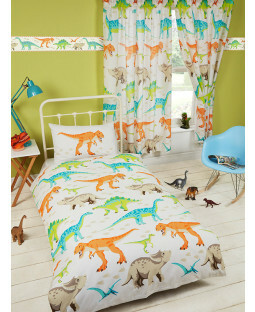 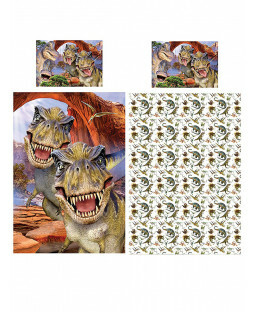 Choose from friendly dinosaur patterns, or fearsome T-Rex duvet designs.